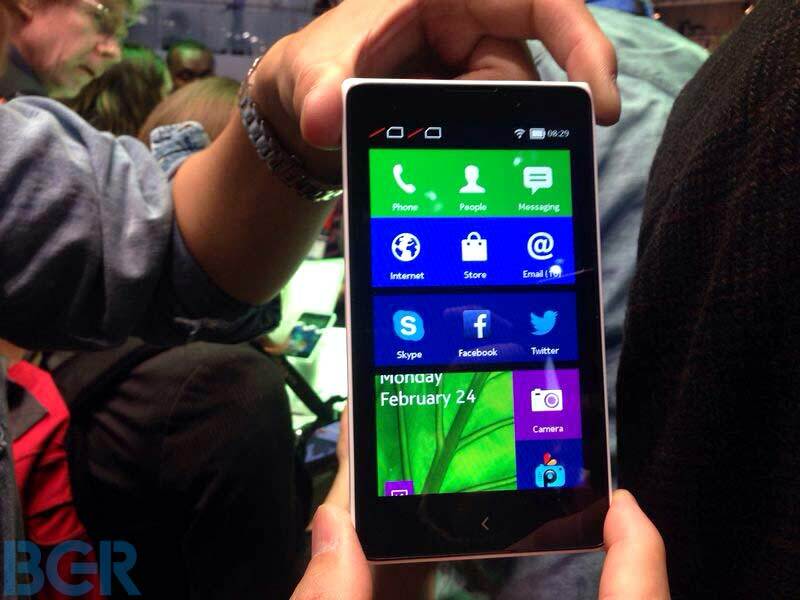 Previously code-named Normandy, Nokia has used its MWC conference to unveil the Nokia X — a phone that’s technically running Android, but has a blend of Android and its Asha phones to create a unique user experience. It runs on a Snapdragon 200 processor which is quite old and Nokia used this just to cut off some production cost and they are providing a 1 GHz processor in Nokia X. It has a quite nicely crafted design and has a 4 inch TFT display with a resolution of 800×854. It sports a 5 MP camera on the back and on the front, only in X+, a 2 MP front facing camera is available. And as Nokia stated, the Nokia X is not going to be a business smartphone and this new line up will provide a rich user interface and a lot of features at a lower price. 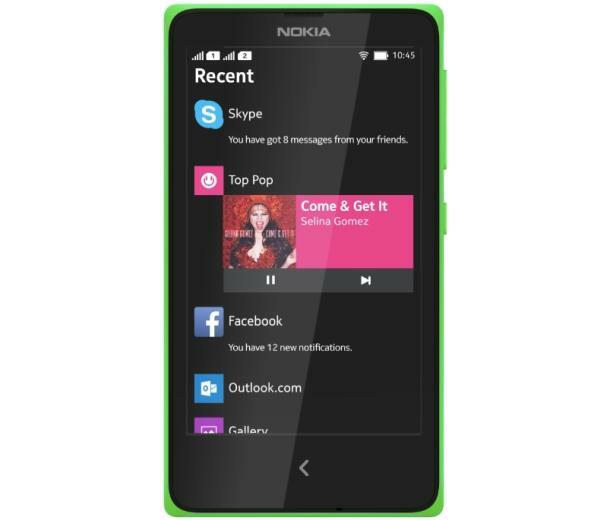 Nokia X does not come with pre-installed Google Play Services. 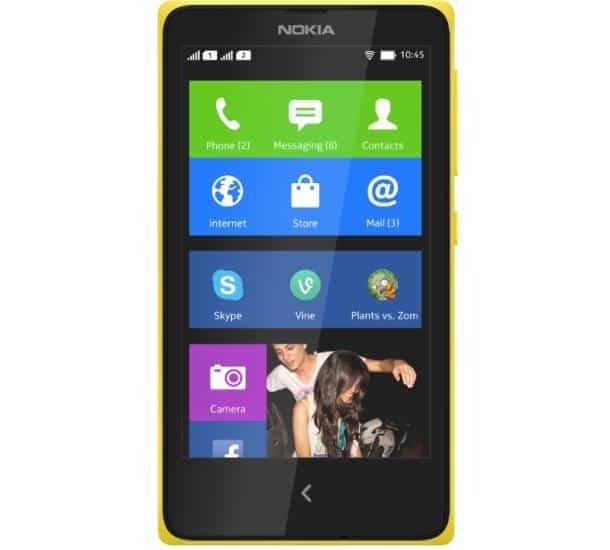 As a result the Play Store isn’t available on the Nokia X or Nokia X+. Though, Android apps can be downloaded through Yandex Store. The UI on the Nokia X is pretty smooth and quite like Windows 8 OS, but when you get into it, it works just like and Android smartphone. Nokia is at least going to showcase at least one Lumia device, the Nokia Lumia 630 (aka Moneypenny), the first Lumia phone with on-screen buttons, which is quite a new idea, but developers may face some issues with it has most hardware buttons have various functions and are useful for developing purposes. Nokia X is quite not a bad choice as entry level smartphone as it has a ample amount of processing speed and 512 MB RAM, but still, some users may find using it quite a little difficult as it doesn’t havea typical Android UI and lacks Google play services. The battery backup should be good with 15400 mAh battery, but only 4 GB of internal storage might be a headache for smartphone geeks and high end gamers who store a lot of games and apps in the phones, though it has a expansion slot for upgrading memory. As an introductory offer, Microsoft is offering buyers one month free calls Skype, and 1GB of OneDrive storage, that may attract customers and make Nokia able to grab its lost position as the mobile phone giant again. Though we have got some news about the pricing, due to lack of accurate pricing details available at this moment we have not mentioned anything. Check out us within a few hours until we get the latest info about pricing. Have a good day.